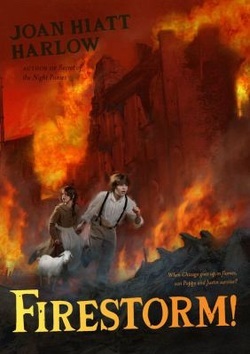 Poppy is stuck in the middle of the Great Chicago Fire in 1871. If you were in her place what possessions would you carry to safety. How would you survive when it seems the whole world is burning down around you? All students who leave a message will be invited to a special luncheon in the library to discuss the book on December 13th. See Mrs. Sumida for a copy of the book.